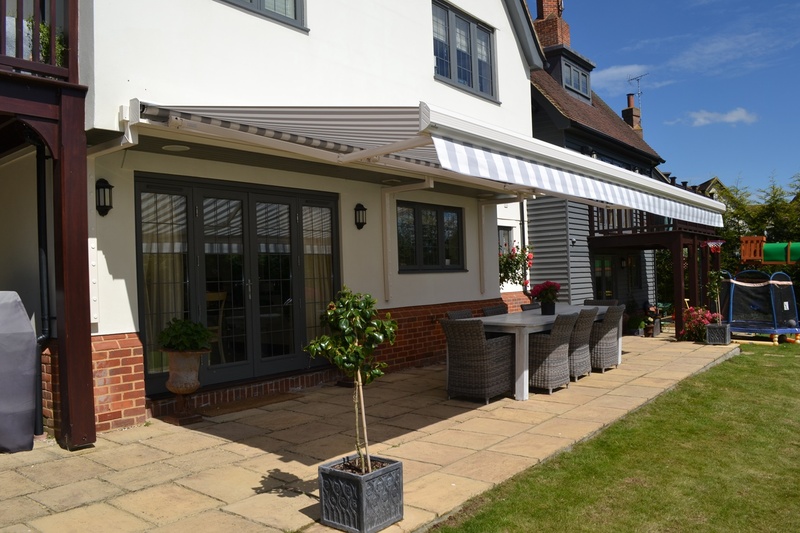 With our huge range of Residential Awnings in stock, it is easy to enhance your outdoor space and provide much needed comfort for your guests. Providing you with shelter no matter the weather, a Residential Awning allows you to use your garden all year round. 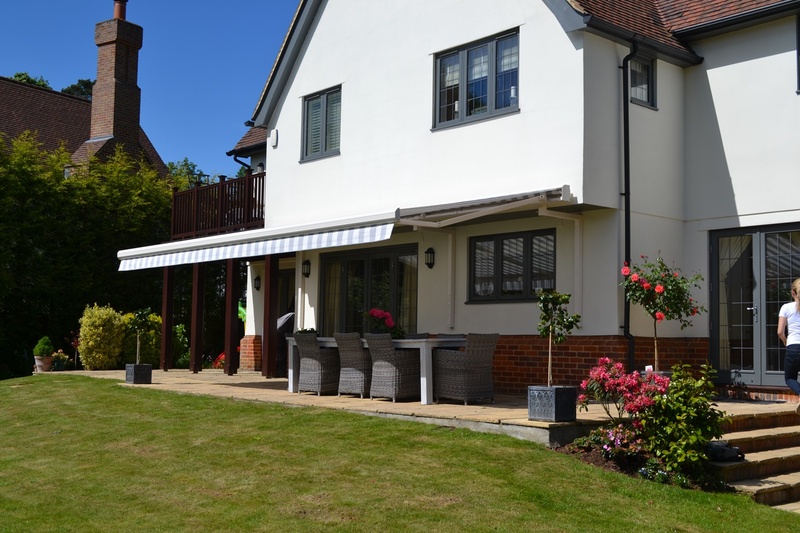 Residential Awnings don’t just provide the benefit of shelter from the elements; a well fitted Residential Awning Installation can help to cool down your home and can even prevent glare in the hotter seasons. All of our Residential Awnings are made to order. This means you will always get a perfect fit for your home. This then means your Residential Awning will perform to the highest possible standards for the longest amount of time. Our in-house team of professionals will be responsible for the fitting process to make sure its performed to the highest quality. Their knowledge and technical expertise will ensure your Residential Awning is installed correctly; increasing lifespan, performance and general happiness of your bespoke Residential Awning. As climate change brings the warmer weather over, you need to make sure that you don’t overheat! What better way is there to protect you and your home from constant sun exposure than with an external blind designed and installed with the intention to shade you to the highest standards by Regal Awnings, one of the UK’s largest suppliers. Create an elegant and practical living environment to enjoy alfresco dining with ease, safe from a sudden downpour or dangerous heats. Protect your precious internal furnishings from sun and rain damage too, with a Residential Awning from Regal Awnings. Here at Regal Awnings, we pride ourselves on the level of customisation we offer our customers. We sell a wide variety of awnings, including Dutch canopies and folding arm options; giving you a personal touch to your new addition to the house. With three different manufacturers and over three hundred pattern variations we are confident that we will be able to satisfy your colour scheme requirements! We also offer a huge choice when it comes to the colour and type of fabric your Residential Awning is made from, catering for a wide range of needs. Any colour scheme can be easily matched by choosing from our catalogue either in store or online for your Residential Awning. Do not hesitate to get in contact with us today! 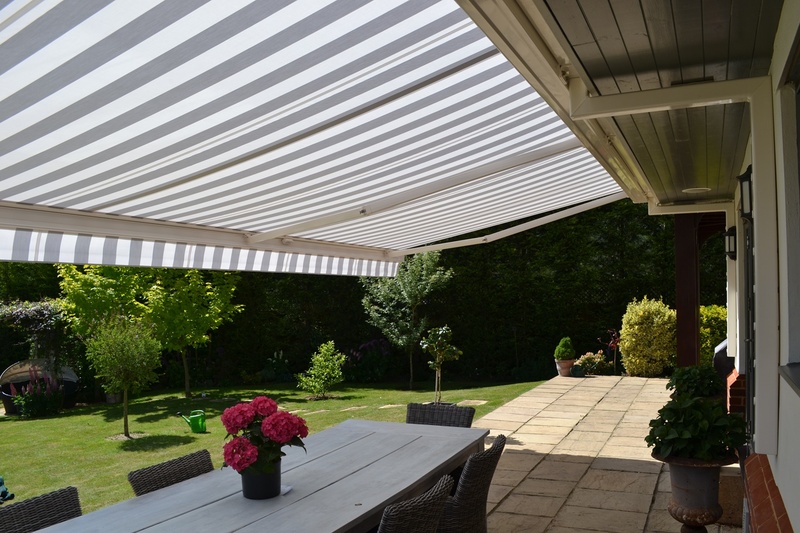 Our staff will be delighted to help you to choose the right Residential Awning for your home.